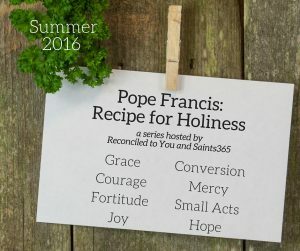 To our #Recipe4Holiness we will now add a special ingredient, that is actually many ingredients in one… Small Acts – those often unseen moments our of lives that create a saints heart within us! If you’ve been reading my blog for a while – or even a few days – you are acutely aware of my many deficiencies. The one that I regret the most – and try the most to overcome is my lack of hospitality and thoughtfulness. Though, probably a more fair assessment would be my lack of follow through! I often think of the nice or caring things I could do to help others – however, for a myriad of reasons (none of them good); my follow-through statistics are very low. At first this behavior came from self-preservation and lack of instruction; but as an adult with fully formed conscience it is not longer acceptable behavior. While I would love to say, that once I realized the necessity of a life in Christ to include reaching out to others my behavior changed – I can not. I still every day have to resist my self-absorbed ways. In all too painful ways the Lord has allowed me to feel the DEEP regret of not acting on an inspiration of the Spirit to reach out to another. Friday, I begin the Novena to St. Joseph, asking for his intercession to pray for me. St. Joseph is known for being a faithful servant to God, for his protection and caring for the infant Jesus throughout his life. 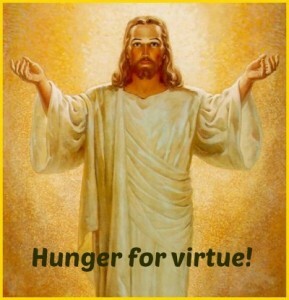 I am trying to be faithful to Jesus’ call for me to be a public speaker for the Catholic faith. 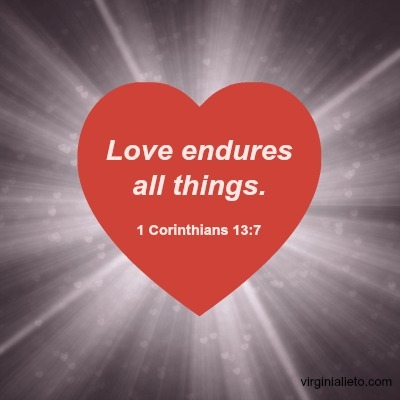 Who better to go to for encouragement and prayers said on my behalf, for the virtue of faithfulness, than the saint known for his faithfulness! 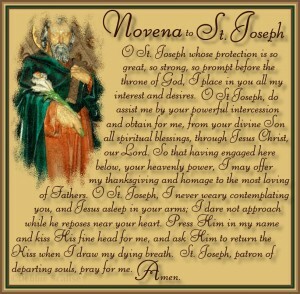 This Novena culminates on the ninth day, which happens to be the Feast of St. Joseph (March 19th). Visiting the Sick Makes You Better! As promised, each month this year, I will cover an act, or acts of mercy. 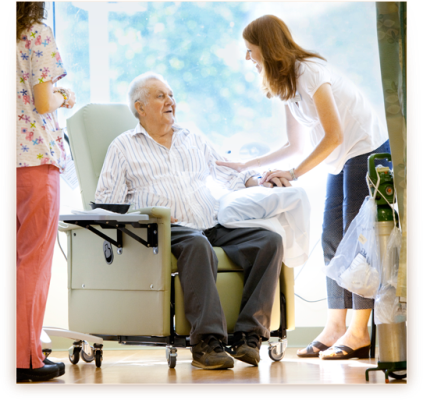 This month we will focus on visiting the sick as part of the Year of Mercy series, where we explore the corporal and spiritual works of mercy. Have you ever had to stay in the hospital for an extended period of time? Or, have you ever been homebound while convalescing to better health? I have, and I can attest to the fact that it gets very lonely and scary, while lying in a hospital bed. 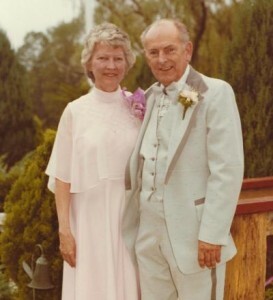 Because of my clubbed feet, I spent almost half of my childhood either in the hospital, or recuperating at home. The nights in the hospital were the worst. Especially for a child, it gets scary being in a strange place at night. I just wanted to be at home, surrounded by my family, in my own bed. Therefore, anyone who would come to visit me, especially at night, made my day! Our Lenten Journey: Check-in Time! Can you believe it! 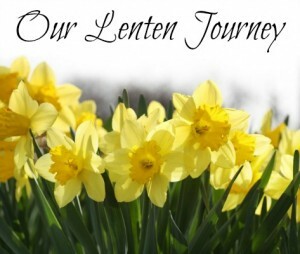 We are already three weeks into Lent – half way through the Lenten season. I thought this would be a good time to check in with everyone to see how we are all doing with our Lenten sacrifices/growth in virtue. Awesome, simply awesome! That is it in a nutshell regarding the fantastic book, Stay with Me, by Carolyn Astfalk. 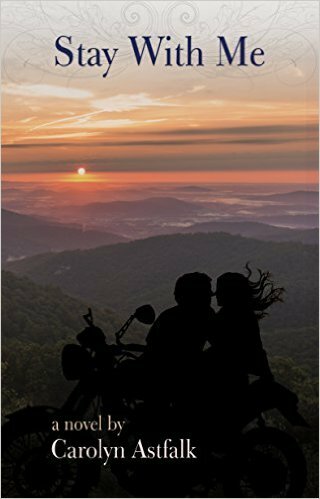 This Christian fiction novel centers around two young people in their 20’s, named Chris Reynolds and Rebecca Rhodes. Chris is Catholic and Rebecca is not. This fact comes out early in the story. From that point on, we see two people of different backgrounds with different beliefs and baggage, who fall in love with each other. We see how they face the challenges of maintaining chastity in their relationship. We see how they grow in purity and love for one another. 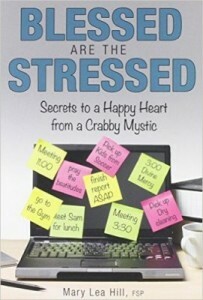 This book is packed with virtue, displayed, oh so brilliantly, by Carolyn Astfalk in the most positive manner. For the Extraordinary Jubilee Year of Mercy, I decided to learn more about the virtue of Mercy. 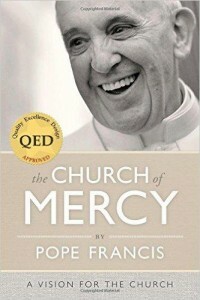 What better book to read than Pope Francis’ The Church of Mercy? I found this book very insightful. In this book, Pope Francis provides a selection of his 2013 speeches and homilies. Taking into consideration his election as Pope occurred in March 2013, these speeches and homilies were some of his first. Mercy, a hallmark of Pope Francis’ papacy, remains a priority for moving the church forward, as evidenced by his declaration of the Extraordinary Jubilee Year of Mercy.